I learned the hard way to take care of my inner hamster after forgetting too many ideas. I usually keep my little notepad and purple pen around in the event of impromptu ideas. My problem is figuring out what to do when ideas come to me in the shower – so many of them do. Can’t bring my pen and pad in there! I’ve actually been meaning to get shower crayons to fix that little problem. So glad you like it! Hortense definitely came first. She’s been my go-to hammy for years. I love Hortense! But since I share my office with several cats, that probably wouldn’t work out! I especially appreciated the gem: “If you’re always cramming information down your inner hamster’s throat, it’s going to lose its natural curiosity. Which means you won’t retain as much. And when it’s time for new ideas, your inner hamster won’t know where to start because the poor little thing’s been inundated with so much new data. You know how to hit all my buttons! Carry on! And it’s true. We’re inundated with so much information that we — and our inner hamsters — can get stuck before we know it. And trying to be creative feels more like trying to be zen while sitting in the middle of the the Las Vegas Strip. Too much going on. Been there. And I’ll forever be apologizing to Hortense for it. 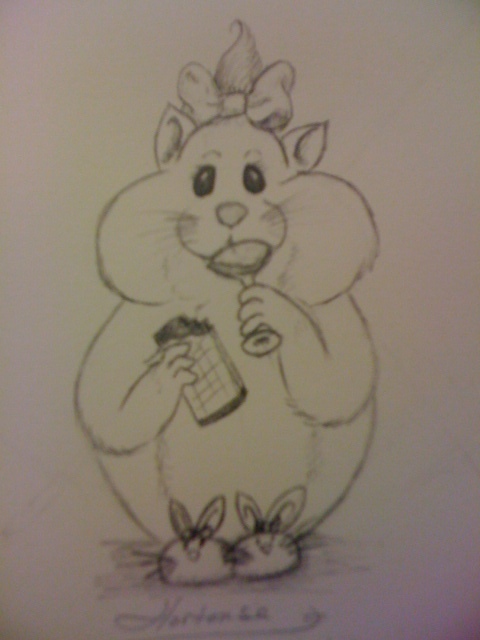 I loved the way your inner hamster was chowing down on a chocolate bar. 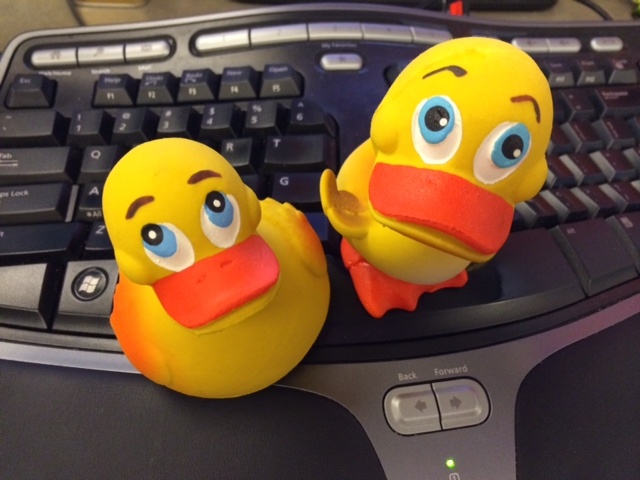 Hi Savannah — welcome to Rubber Ducky Copywriter! Yeah, Hortense and I like our chocolate. We’ll trade soda for water, but we’ll never give up our Hershey bars. Hi Erica! Thanks for the warm welcome. You sound like me. I gave up soda a few months ago and started drinking more water. But I can’t seem to let go of my chocolate bar addiction. I really enjoyed how you went about this topic. Great post. I almost always have a notepad. I jot things down as soon as I can. One the most brilliant writers I know. Dr. Dennis Hensley (link on my pages – Author sites) often speaks on organization and one of the points he always makes is writing things down. He says no matter how smart you are juggling 20 things you have to do in your mind keeps it busy. Once you write them down, you free it up to think of other things. I’ve met Dr. Hensley twice and he is a phenomenal speaker too. Lists work for me. I loved the Skittles comment too, quite original. I learned who you were on Peter Bowerman’s site, when you made a list of certain “nots.” Been a fan of yours since. This inner hamster idea fits! If I’ve actually left the house without a pad of paper (rarely happens, thankfully), I’ll use the notes section on my phone (an old slide-keyboard thing) OR on the edge of a bill or even on my hand! Gotta write it down NOW. 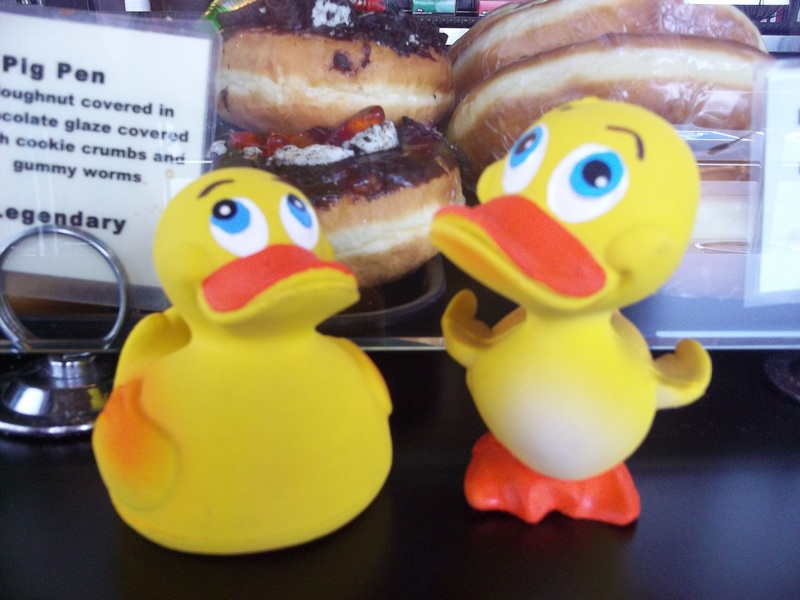 Hi Kendra — Welcome to Rubber Ducky Copywriter! Sounds like you’re pretty good at keeping your inner hamster happy. And I’m pretty sure she appreciates it. I’ve found myself writing on napkins or making a rhyme out of it.